This product is available at Ebay, Newfrog.com, Banggood, Amazon.co.uk, Amazon.com. 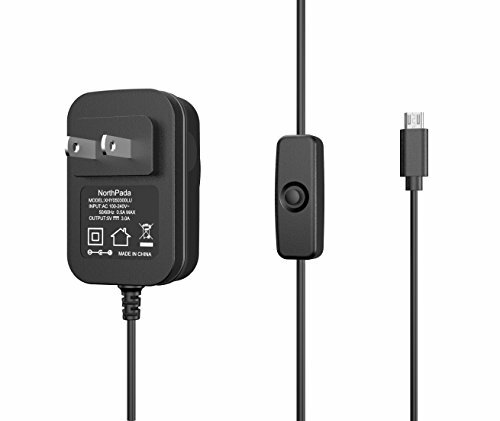 At ebay.com you can purchase 5V 3A Micro USB AC Adapter DC Wall Power Supply for Raspberry Pi /Switch Braw for only C $3.99, which is 60% less than the cost in Amazon.com ($9.99). 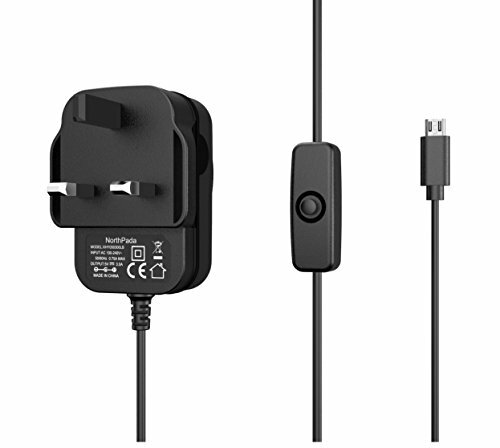 The lowest price of NorthPada Raspberry Pi 3 Model B Power Supply Charger AC Adapter 5V 3A PSU Micro USB 5 Feet with Power On / Off Switch was obtained on 9 February 2019 2 h 06 min. A good power supply is essential for the proper operation of the Raspberry Pi 3 or the Raspberry Pi Zero W. The power consumption of the Raspberry Pi is very low but it is advisable to have at least 2A (10W). If you use USB devices or your projects use actuators or sensors on the GPIO connector, it is best to opt for a 3A (15W) power supply. If the operating system freezes or the Raspberry Pi is unstable (unexplained restart), it is probably because of a power supply too low or poor quality. Warning. Some power supplies have a switch. Never use this switch to shut down the Raspberry PI. You must stop the operating system from the menu bar or with the sudo halt command from the Command Terminal. Disconnecting the power supply when the Raspberry Pi is operating is the primary cause of data loss or deterioration of the Raspbian operating system. Even with a quality SD card and power supply, remember to backup your data regularly or clone your SD card by following this tutorial.